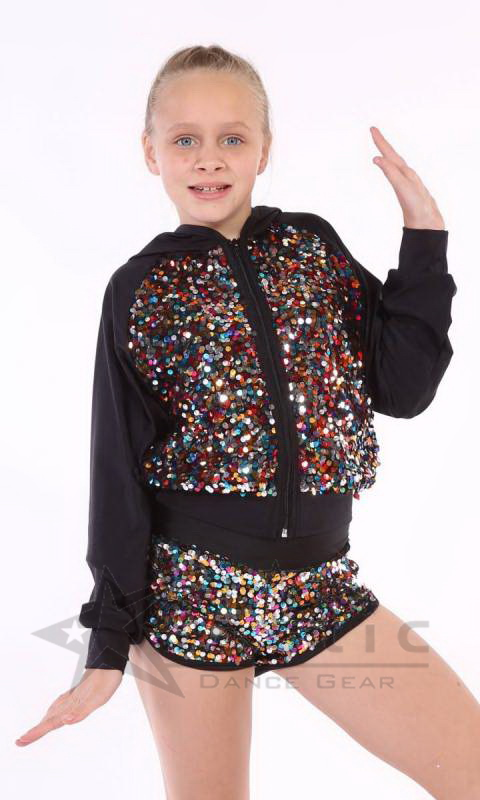 Sequin mesh jacket with black nylon sleeves, hood and banding. All mesh seams to be sewn with black nylon bind. Black bind around CF/Hood and black zip.